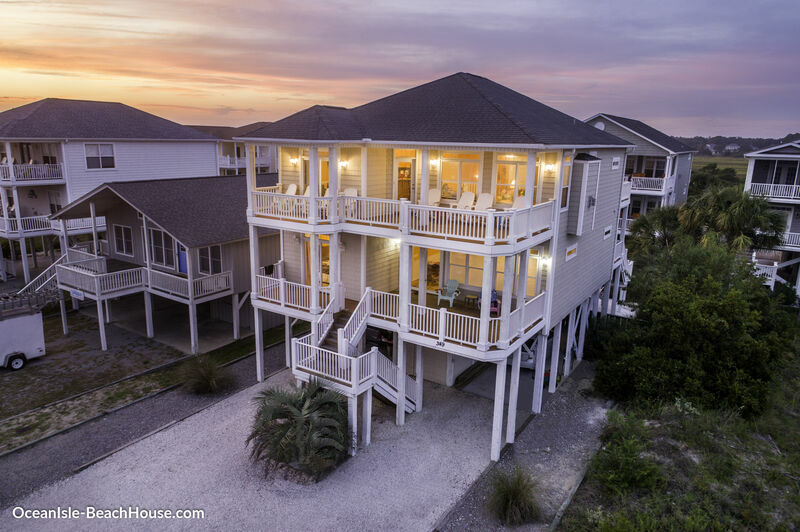 Its 5' o Clock Somewhere is a second row home that features a reverse floor plan with spectacular ocean views. Private Swimming pool. 2 Family Rooms plus 5 bedrooms and 4 Full Baths plus 2 Half Baths. Internet Access, 7 Color Cable TVS, VCR, DVD, Dishwasher, Washer/Dryer, Microwave, Charcoal Grill, Port-a-crib, High chair Non-smoking. Bedding: 1st Flr: Queen,Queen * King * 2 Bunk Bed Sets, * 2nd Flr: Queen, Queen * King * Sleeper Sofa in downstairs living room. Sleeps 18.